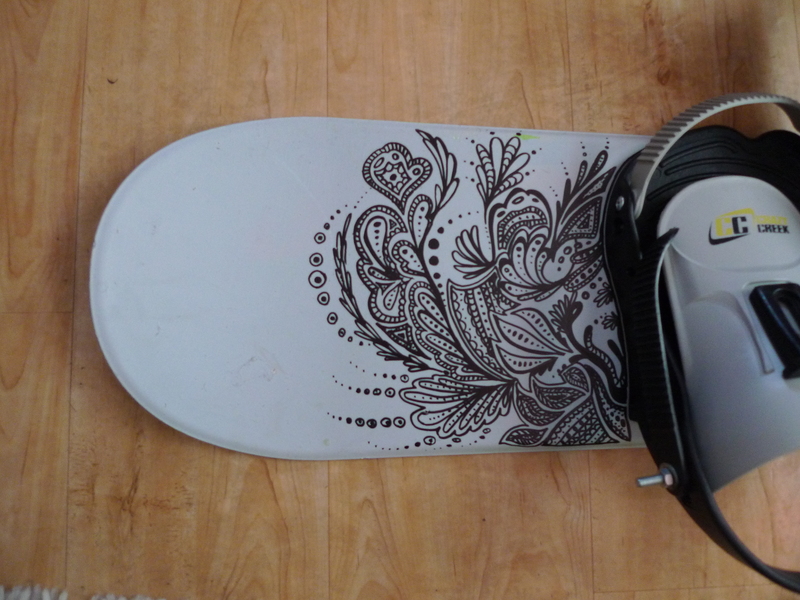 My brother has an old snowboard that he paintet grey and wanted me to draw on it. I had a black color marker and chose to draw something I was comfortable with, Henna design..
Drew this henna design a couple years ago, published it on deviantart.com and it ended up as a tattoo half across the globe. This is a girl from USA that loved my design so much that she needed to make it a part of her forever :)The tattoo artist made some changes when it came to the thickness of the lines. He said that some details were to small and the variation of the line was impossible to draw. Hope you like!